What better way to get word out about your business than on the blank canvas that you already drive around town. Put some skin on your vehicle and transform it into a moving billboard. One wrapped vehicle can generate 65,000 visual impressions per day in a major city, based on studies by the OAAA. 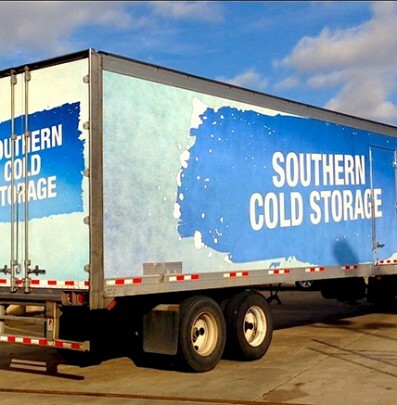 These fully wrapped 48 and 53 foot trailers go cross country delivering frozen goods. 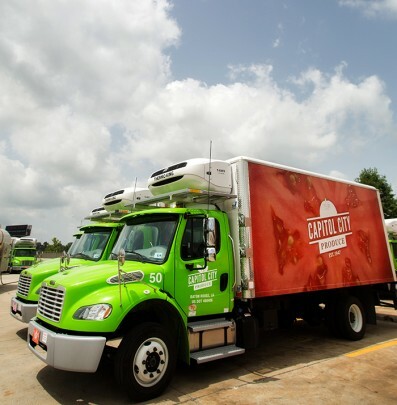 Rebel Graphix is proud to have won the job to print the entire 52 truck fleet for Capitol City Produce. 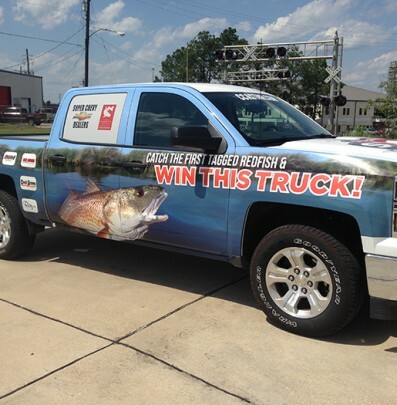 We partnered with X-Design to bring their Louisiana marsh scene graphic to life. 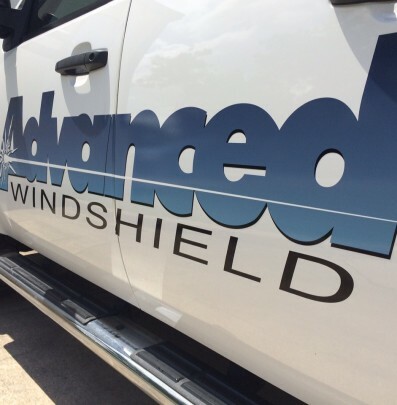 Advanced Windshield wanted an update to their trucks and a way to advertise while driving about town. 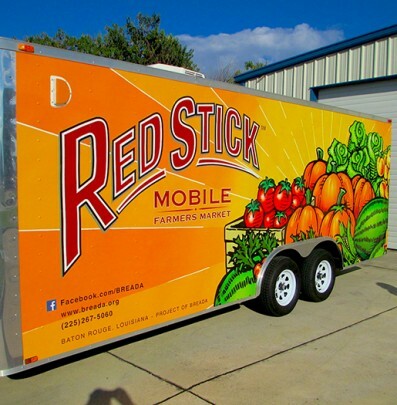 The name on the trailer, Red Stick Mobile Farmers Market, says it all about what the client wanted to achieve.